Welcome to the studio! If you’re looking for an amazing space in an awesome location, we’re happy to rent it out for photo & video productions, workshops, screenings and private events. Need a break? Take a load off on our super comfy chairs and sofas. 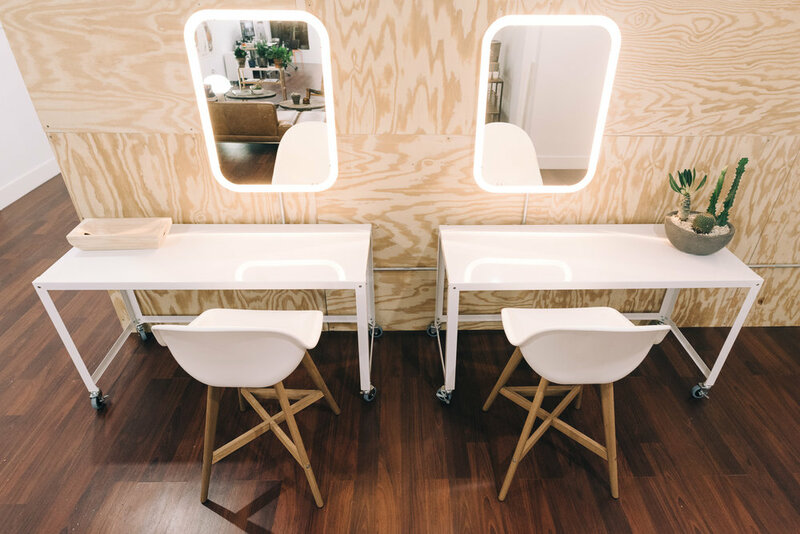 What’s a studio without makeup stations? Nothing. NOTHING! And you can tell those other studios we said so. Just what every high-end photo and video shoot needs: a big white wall. Transform our space for talks, screenings and workshops. Wind down with a friendly game of ping pong.